The basins of the Tonosí and La Villa rivers, in the region of Azuero, are those that register more cases of erosion in their banks affecting with roads and the storage of water for the purification plants. 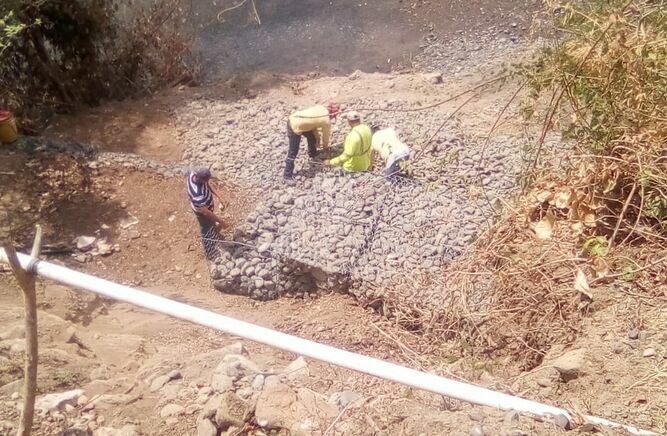 On Tuesday, April 2 the Ministry of Public Works (MOP) in Los Santos confirmed the placement of gabions to prevent erosion in the Guaniquito-La Pintada road in the Tonosí district. In the same basin, work has been done on road and river detours due to the phenomenon, according to MOP reports. Sedimentation of the La Villa river basin is also seeping into the suction pumps of the Rufina Alfaro water treatment plant, leaving damage to the pumping equipment of the plant that supplies drinking water to more than 45,000 people. Abilio Barrios, director of the Institute of Aqueducts and Sewers (Idaan), in Los Santos, reported that the erosion has is filled the riverbed in the intake, which allows the sediment into between where are the pumping equipment is installed. Every time you have to clean the suction well to avoid the accumulation of sediment; in the rainy season once a week and during the dry season once a month, causing wear of the, bronze gears, and steel shafts. In the lower basin of the La Villa river, the channel has been diverted as a result of the erosion that is destroying the riverbank. The La Villa river basin currently records 65% deforestation, according to the Ministry of the Environment (Mi Ambiente) in the region. One of the biggest problems is the sedimentation caused by erosion caused by deforestation, which is losing flow because the water does not filter and drain. Cut the trees and replace them with gabions to prevent erosion. When there were trees and plants, the soil was stable, the water was filtered, and there was more water than there is now. Why are new trees not being planted? Why isn't the practice of reforestation being applied? Nature provides exactly what is needed to protect streams, hillsides, and water sources. When humans destroy the system, and then tell themselves they're repairing it by using another stupid human idea, it allows the expansion of the problem, and extends the length of time we will have it. The system must be maintained as it was designed.